The Asheville Inn-Sider’s Holiday Package: Stay, Shop & Play Package is in full effect! 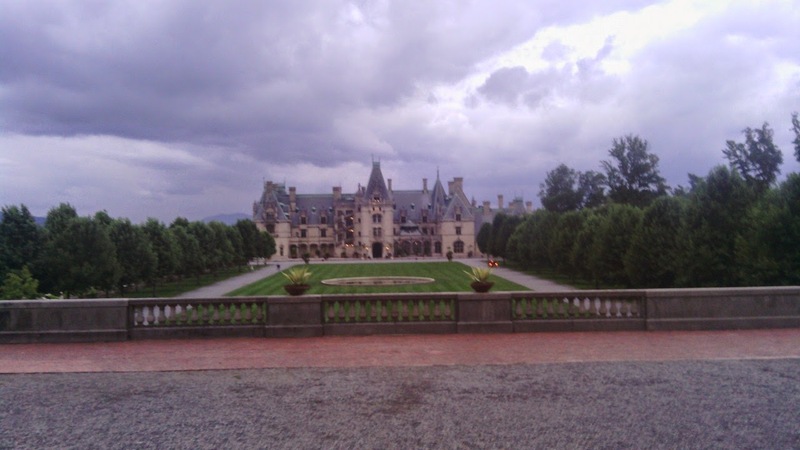 Remember that time I went to Asheville and it changed my life? Well, maybe the same can happen for YOU. Take a trip to where there are more breweries per capita than any other city in the United States AND where the mountains and rivers and streams inspired F. Scott Fitzgerald, Thomas Wolfe AND where the Obama family has chosen to purchase post-presidential property, too. The 17 inns of the Asheville Bed & Breakfast Association (ABBA) have announced their first-ever holiday getaway package, available now through Jan. 3, 2015. *A guest shopping pass good for discounts at participating merchants and shops, galleries, coffee shops, chocolatiers, spas and a foot sanctuary. Guests must book with the inn to receive the shopping pass. Each overnight package guest receives a pass. *Guests will be treated to a package of the innkeeper’s favorite homemade holiday cookies along with the recipe. Combine all of the ingredients in a food processor. Process until the dough comes together. Finish kneading with your hands. Wrap in plastic wrap and chill in the refrigerator for an hour. Combine sugar, honey, butter, and cream in a heavy saucepan; cook for 5 minutes over medium heat. Stir in almonds. Cook for 7 minutes or until the mixture turns to an amber color. Let stand, uncovered, away from the heat until the shortbread cookie dough is ready. Roll the shortbread dough into balls that are 1/2-inch in diameter. With your hands, press the balls flat onto a cookie sheet lined with parchment paper. The rim of the cookie might crack a little; that's okay. Bake cookies in a preheated 375 F oven for 10-12 minutes. The cookies should be light in color. They are NOT done yet. With a spoon in one hand and the fingers of your other hand, form an indention in the center of the shortbread cookie and add a little teaspoon of almond-caramel into the center of the cookie. Return cookies to the oven for about 5 minutes or until the almonds turn dark amber. Place cookies on a baking rack and let cool. Melt chocolate in a saucepan or the microwave oven; drizzle over the cold cookies. Let harden. To store, layer cookies carefully between wax or parchment paper in a cookie tin. Guests can visit the ABBA website and select the inn that’s right for them. You will find unique destinations that are pet-friendly, inns that cater to gluten-free and other special diets, Victorian or Civil War-era homes, friendly farmhouses and cottages and in-room spa services. All inns feature a gourmet breakfast each morning. Some inns also host young children. Contact the inn of your choice for package pricing and availability as inns offer different rates and amenities. Asheville is known at the holidays for the National Gingerbread Competition™ at the historical Omni Grove Park Inn, the holiday candlelight tours at the Biltmore and local restaurants, outdoor activities, antiquing and more. This package takes the Asheville holiday experience one step further. Visit http://ashevillebba.com or like ABBA on Facebook. Call 877-262-6867 for general inquiries. Reservations are handled by each inn or book online. Check availability here. Visit the list of LOCAL, INDEPENDENT, innkeeper- approved participants here. So, if you've been wanting to travel to Asheville to take in its charm, now is the time to go! I have ALWAYS wanted to go to Asheville! Sounds like the perfect get away! And those cookies look amazing! I've never been to Ashville! I'd love to go to that Bed & Breakast! I've never been to Asheville but would love to some day! And I love recipes with a local story...thanks for sharing! So I need to go to Asheville, eh? :) That photo is so inviting and beautiful! My aunt just told me about her visit to the Biltmore. This seems like such a fascinating place to visit! I would love to take advantage of this package. Maybe I can finally get to Asheville! Your cookies are amazing too! Oh my goodness, this place looks beautiful! More breweries per capita? That would get my husband there in a flash! One of these days we need to get to Asheville. Asheville sounds glorious. What a charming inn!